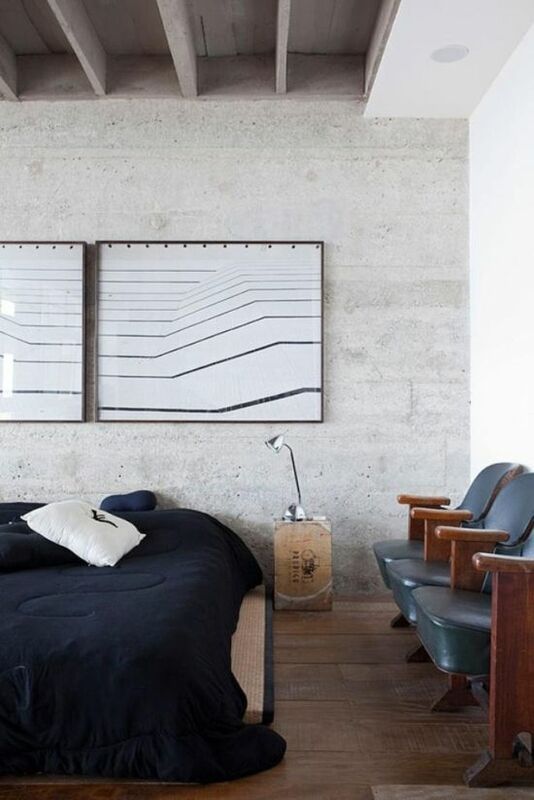 There are many people that like the concept of including concrete walls in their home decor. 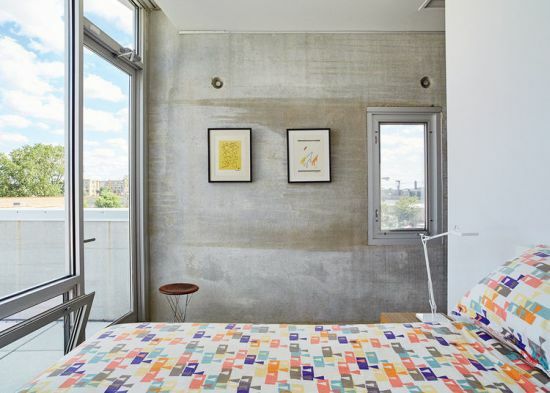 This trend to insert concrete wall forms is not new, but now a days is becoming a rage. 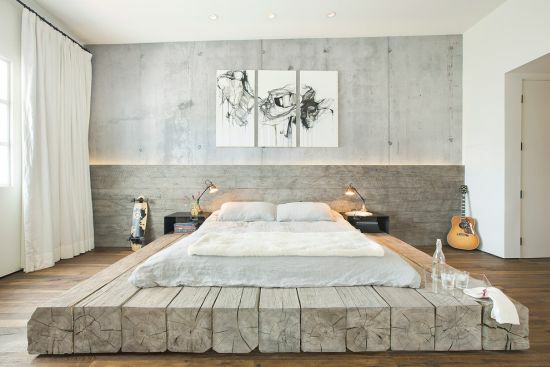 Today, we are going to cover some amazing looking concrete wall ideas and designs that are trending hot these days. 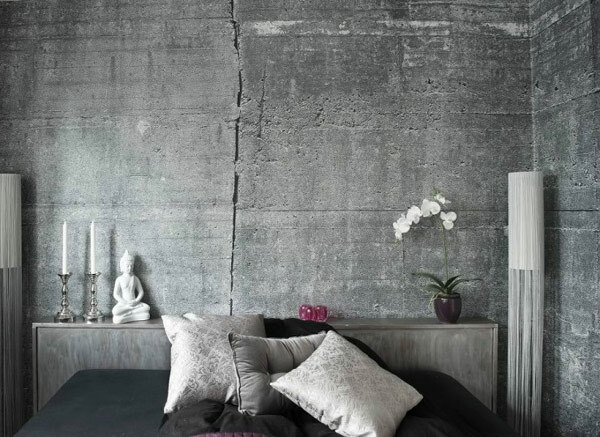 The look generated by such walls is industrial, with grey tones playing a predominant role. 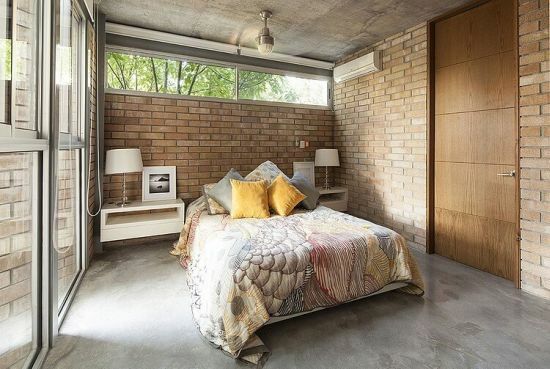 If you want to add a mysterious streak to your bedroom, do get some inspiration from these awesome concrete walls for homes. Concrete wall forms come in different styles like stucco, stamped and poured. One color that’s to be seen in most of such walls is grey. 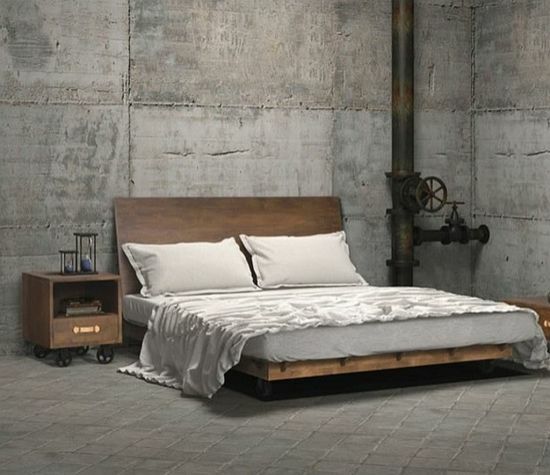 Industrial themed bedrooms will mostly feature grey toned concrete wall ideas with various twists and turns. For example : iron art installations, paintings, or granular designs. One can make the grey appear warm rather than cold by matching timber and greens. 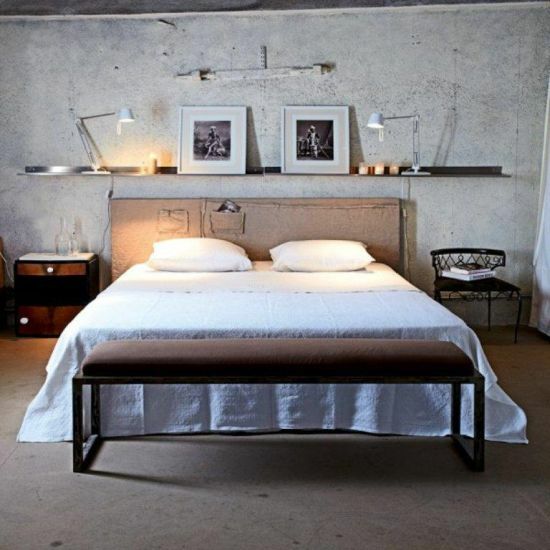 Concrete wall ideas can be used by such people that like industrial themed decor. This theme looks a little rustic and very manly. 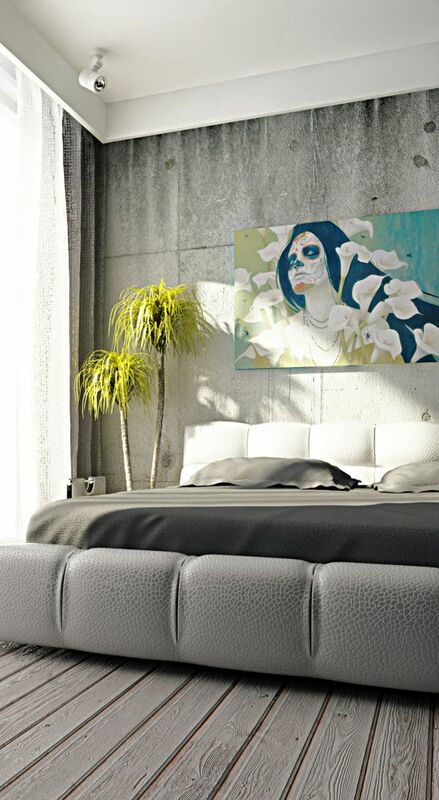 However, one can add a dash of creativity on such walls by placing abstract paintings or wall art. Concrete block walls can add many elegant layers to your bedrooms as these are sold in different patterns and styles. 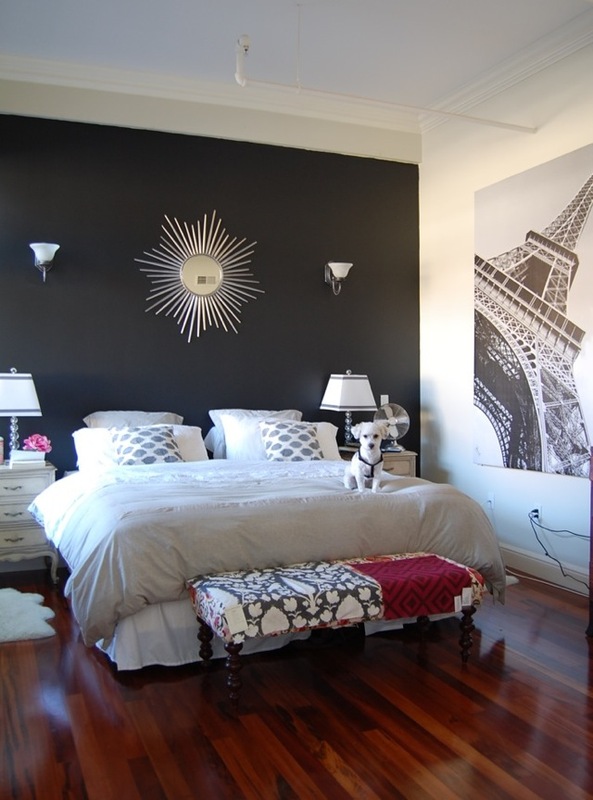 You can opt to choose a monochromatic palette for your wall and the rest of the decor. Concrete wall forms suit such homes that have been decorated with industrial theme. 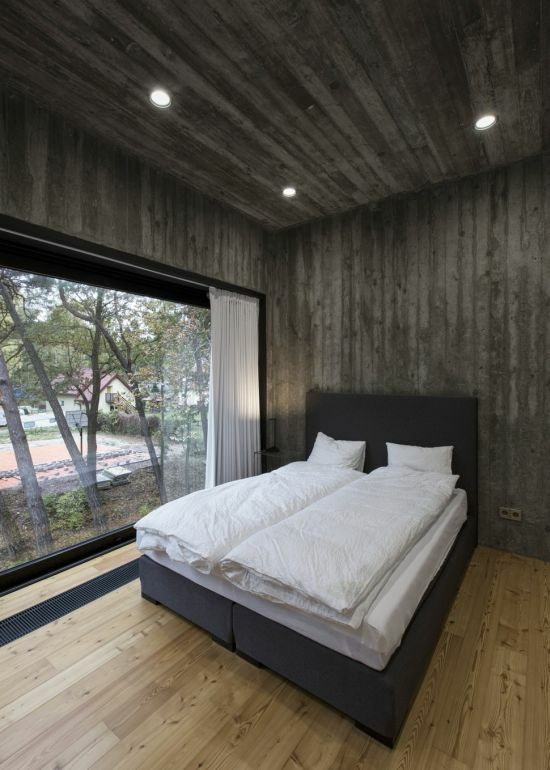 Below, you will get many awesome ideas related to concrete wall designs. 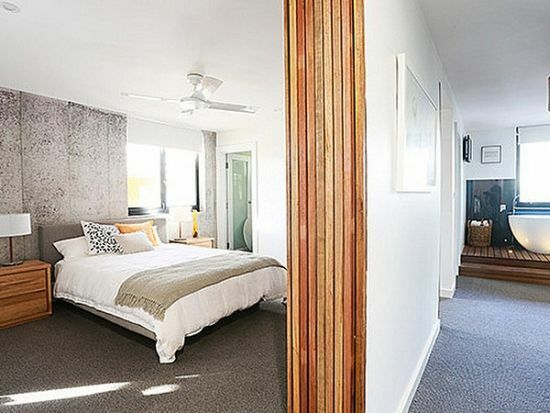 You can use concrete, either alone, or in combination with timber or other materials. For a rustic industrial bedroom decor, try to choose exposed walls with plumbing pipes fully visible. Concrete walls can be built using stone or brick. 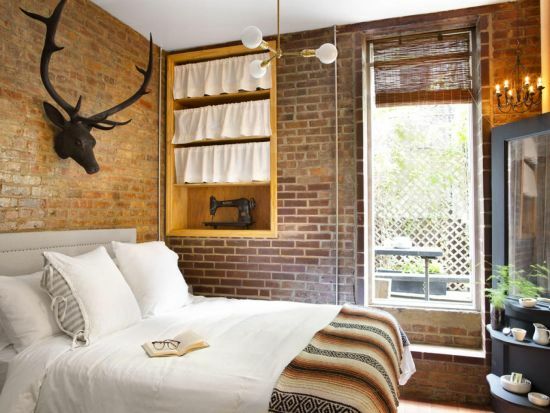 While a stone wall may be well suited for industrial themed homes, brick walls tend to add a cozy cottage like charm. 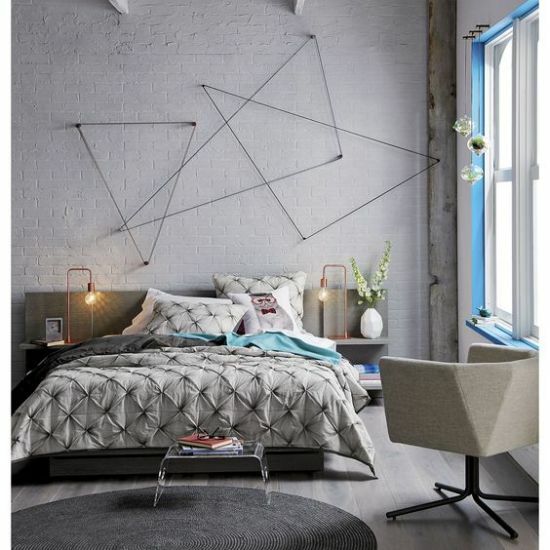 You can insert a brick wall inside a bedroom and embellish it with steel racks, or wall art. 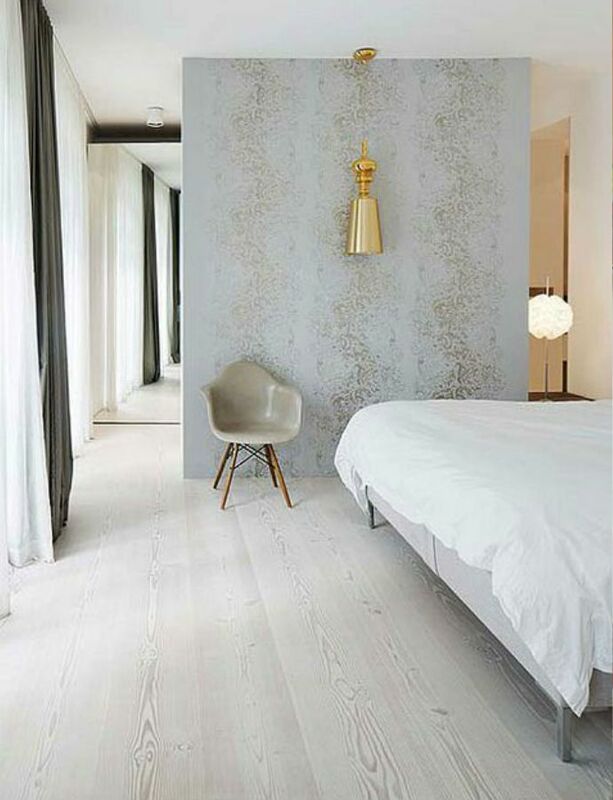 Though, mostly all brick walls have a rustic color palette, you can pick a whitish tone as well. 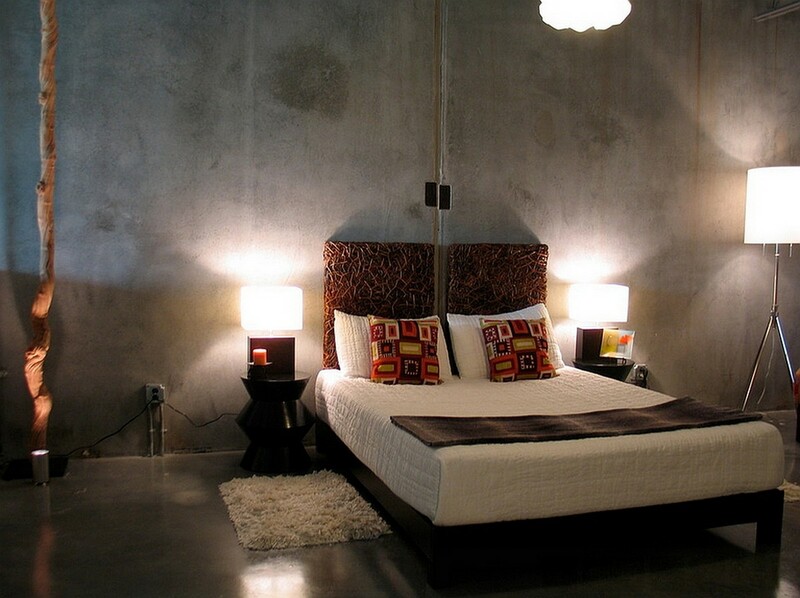 Below are presented some gorgeous looking precast concrete wall ideas for your bedrooms. These walls are built in factories and can withstand any type of climate or season. In addition, precast walls are cheap. 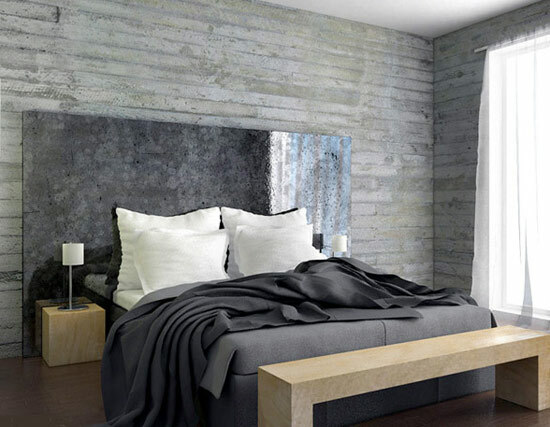 You can have a solid precast concrete panel installed in your bedroom. Or, choose the variant with steel ribs reinforced inside. These days, the stamped concrete walls for homes are in vogue big time. This is because one can add many creative designs using stamps to lend a classy touch to their homes. Apart from bearing a brick and stone look, these walls are sold in other designs as well. Granular designs or stamps are also in fashion as these look elegant. Stamping is generally carried out in the factories. It is quite economical. 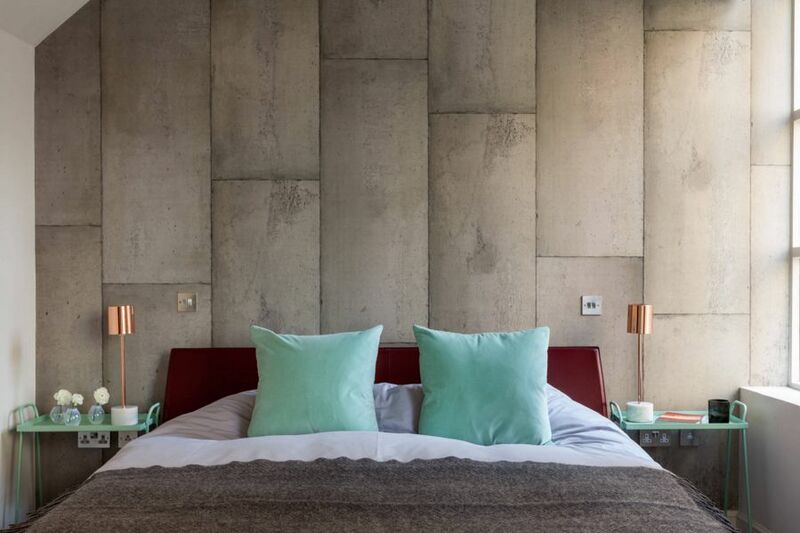 Concrete walls need not necessarily be in typical grey or natural tones. 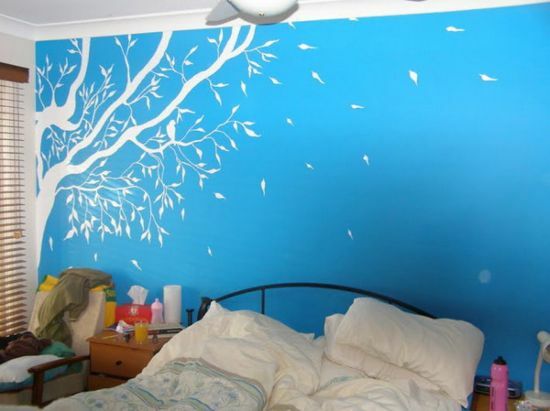 Now a days, you can get colored or painted walls that look good. 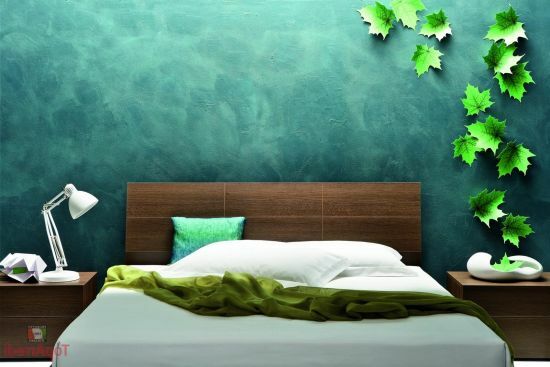 From realistic colors that lend a natural look to your house, there are walls that come in rather glam styles. 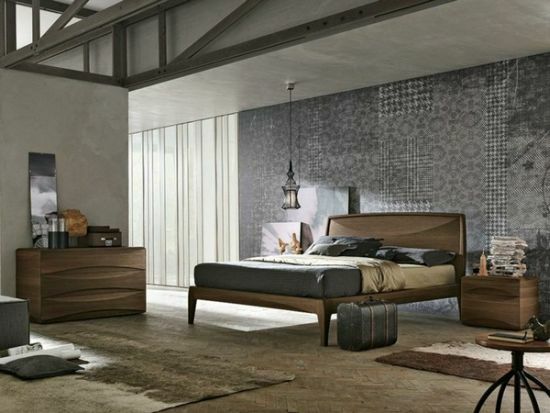 Colors like red, blue, green and black can be chosen for stunning bedrooms just like in the pictures. 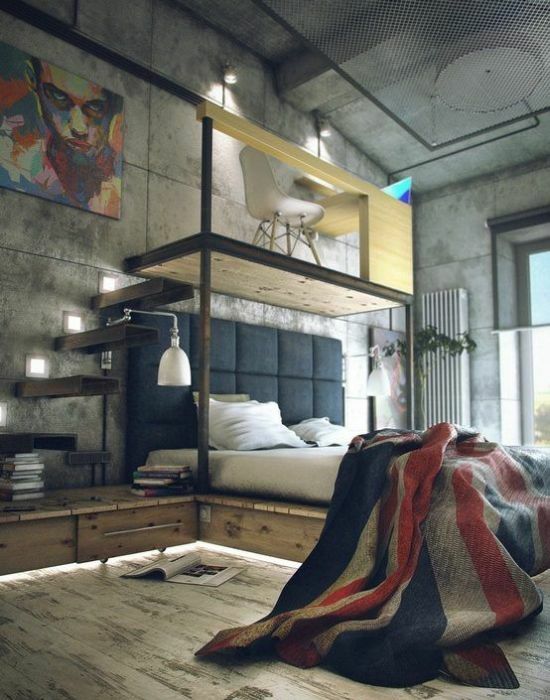 A concrete walled bedroom is a reflection of your character’s strength, and is becoming a rage in modern times. Its not necessary that having a concrete wall will rob your room of intimate beauty. 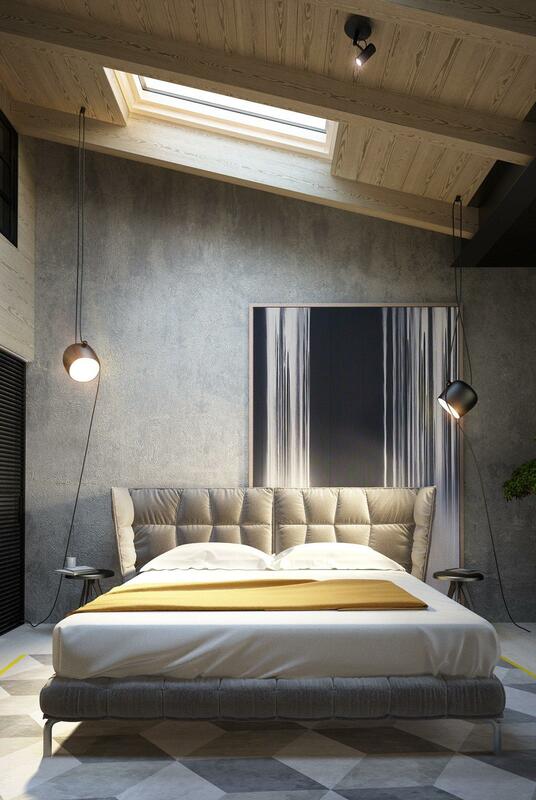 Rather, you can enhance the warmth of your sleeping chamber by installing decorative concrete panels or forms. Enjoy viewing these top 31 concrete walls that are creative and look stunning.